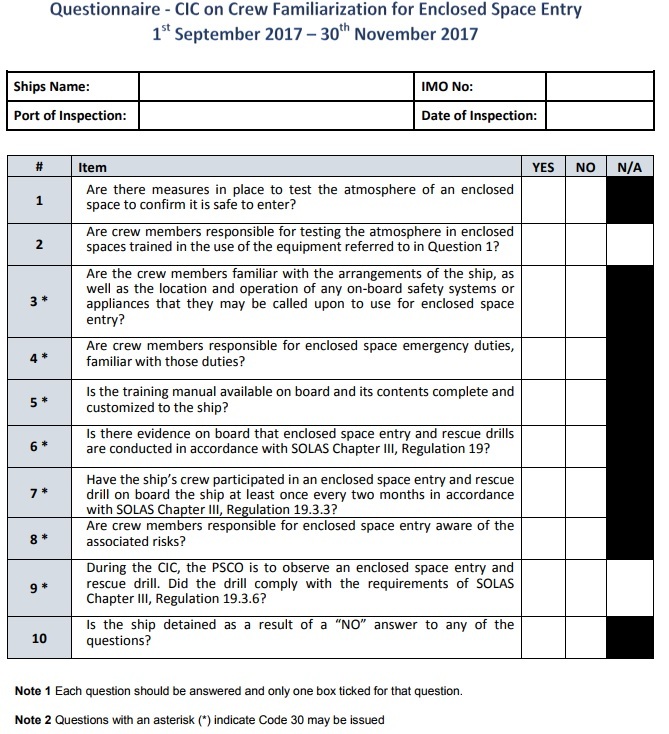 Riyadh MoU to focus on crew familiarization for enclosed space entry – STS Marine S.A. 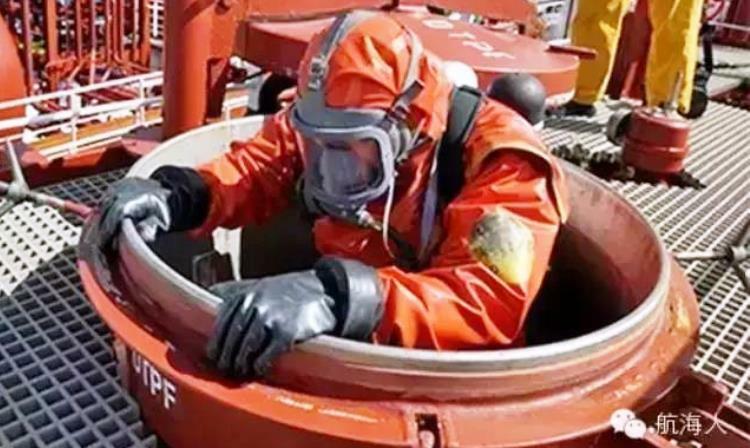 Entering and working in enclosed spaces onboard ships have long been a source of serious injuries and fatalities and a requirement to carry out enclosed space entry and rescue drills became mandatory in January 2015 (SOLAS Reg.III/19). The purpose of the CIC is therefore to ensure that Masters, officers and crew members are familiar with the relevant equipment and have received training in carrying out their duties; raise safety awareness among crew serving on board; and ensure that ships have effective procedures and measures in place to safeguard seafarers when entering and working in enclosed spaces onboard. The following CIC Questionnaire will be used.